ALLARD have supercharged and turbocharged many Land Rover models, both petrol and diesel engined, going back as far as 1959 more than 20 years before the Land Rover factory introduced turbocharged engines! 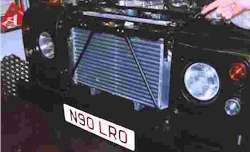 We now concentrate on special tuning Land Rover Turbo Diesels and have developed a range of conversions, based around an uprated intercooler system. We believe that this is the most efficient and cost effective way of increasing performance without significantly increasing mechanical or thermal loads on the engine. In this way power and torque can be increased by upto 22%. 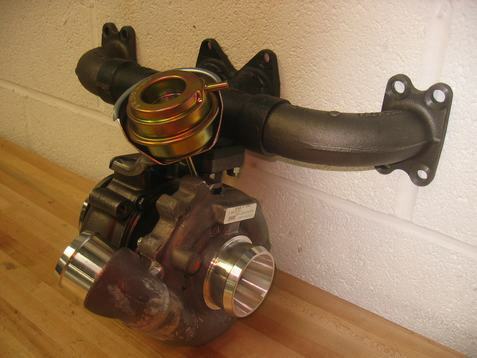 Substantially more power and torque can be achieved by installing an uprated special build turbocharger, running at a higher boost pressure, together with further modifications to the fuel pump, manifolding and intercooler system. We can now install a water to air intercooler system (charge cooler) as well as the air to air type, to form a very effective and unusual two-stage intercooler layout, with upto 150 b.h.p. and 260 lb.ft. power and torque output, giving a 35% increase on the standard figures, with only a small penalty in fuel consumption. These conversions are fully tested and carefully engineered. Because we do not substantially increase engine loads, by offsetting any increase in boost pressure with reduced air temperature and also by increasing volumetric efficiency without resorting to increased RPM, it is not necessary to carry out costly internal engine modifications, which can lead to long-term reliability problems. By having a range of conversions, we are able to tailor each more closely to every customers requirements whether it be for towing, off-road or fast motorway use. Our intercooler systems substantially improve performance with optimum thermal efficiency and fuel consumption, so smoke emissions are low and any additional loads on the engine are very small. Land Rover Special tuning conversions, based on uprated intercooler systems, feature strongly in our range of conversions for all turbocharged Land Rovers. 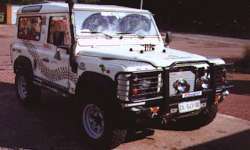 PHASE 2: Discovery - Defender - Range Rover 200 and 300 TDI. The Allard Phase 2 intercooler conversion will provide your Land Rover with the unique combination of up to 25% more power and torque and up to 15% improvement in fuel consumption (in economy mode). There is substantial improvement in torque from only 1700 rpm, so low speed pickup is transformed. Torque is increased from 195 lb.ft to over 225 lb.ft at 2000 rpm and power on average increases from 110 bhp to over 132 bhp at only 3750 rpm. Because of the very high thermal efficiency of our large intercooler, the thermal loads on the engine are reduced and because we do not need to increase boost pressure to obtain these benefits, other increased loads on the engine are minimal. All our Phase 2 conversions have been thoroughly rolling road and smoke tested. 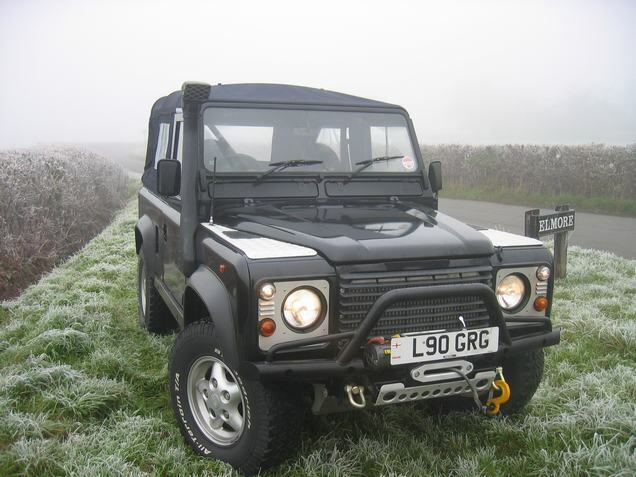 PHASE 2:Discovery - Defender - Range Rover 200 and 300 TDI. With air conditioned vehicles we have developed a two-stage intercooler system, as this allows us to leave the air conditioning unmodified and makes the installation more straightforward. We retain the original intercooler and link the new first stage intercooler into it, with aluminium pipework and silicone hoses. The new cooler is mounted below the radiator. Power and torque figures are close to those of the normal Phase 2 system. PHASE 3: Discovery - Defender - Range Rover 200 and 300 TDI. This system is as for the Phase 2 conversion, but includes in addition an uprated turbocharger and a boost control valve to allow maximum boost to be raised to 1.25 bar and to match the higher airflow of the improved intercooler system. The normal 16-row intercooler can be replaced by an even larger upto 24-row intercooler. PHASE 4 Discovery - Defender - Range Rover 200 and 300 TDI. Conversions are made to order, for almost any engine/vehicle combination, petrol or diesel, turbocharged or supercharged. These conversions are the most effective way of boosting the performance of your turbo diesel without compromising engine reliability or significantly increasing fuel consumption.